Every year “the Biggest Christmas concert in Australia” is broadcast live on television. 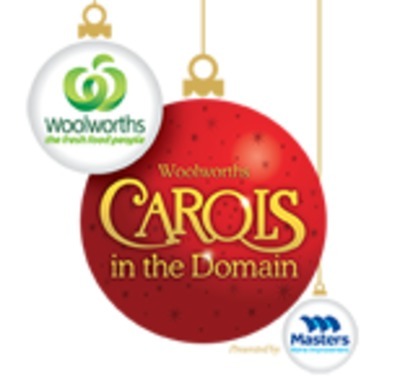 This year, the Seven Network will be airing Woolworths’ Carols in the Domain on Saturday 20 December from 8.30pm. This year’s star-studded event promises to be a good one. No I will not be watching anything to do with Christmas -I find it all so commercial and tedious -oh, and BORING! It won't be airing in the UK, so no. Out of curiosity, is you Woolworths part of the same UK Woolworths that went under in the recession? Is it a supermarket in the UK? It is in Australia, but Woolworths in Germany is different, more like a department store. I don't know if they're connected. I don't think it can be the same then. It was not a supermarket, but a kind of 'this and that' store. It sold clothes, DVD, pick-a-mix, toys, electronics, DIY. It didn't really fit into a category. That was great when it started up, but when new stores came an specialised in particular thing, it couldn't handle the recession and went bust. Yes, & 'Carols by Candlelight' from Melbourne's Sidney Myer Music Bowl. Another show normally telecast around Xmas is 'Schools' Spectacular'. Have watched all these for years'. Enjoy listening to David Hobson, Marina Prior & Dennis Walter sing 'anything' actually! They're are just SO good! How old is THIS question?? I’d only watch it on t.v, if there wasn’t anything else on t.v. to watch at the same time. Luckily is always is something else to watch. Thanks for weighing in. I'm pretty sure it was published before Christmas 2014. Bold & The Beautiful – How will Rick respond when he learns the truth about Maya?